This item is in good condition. 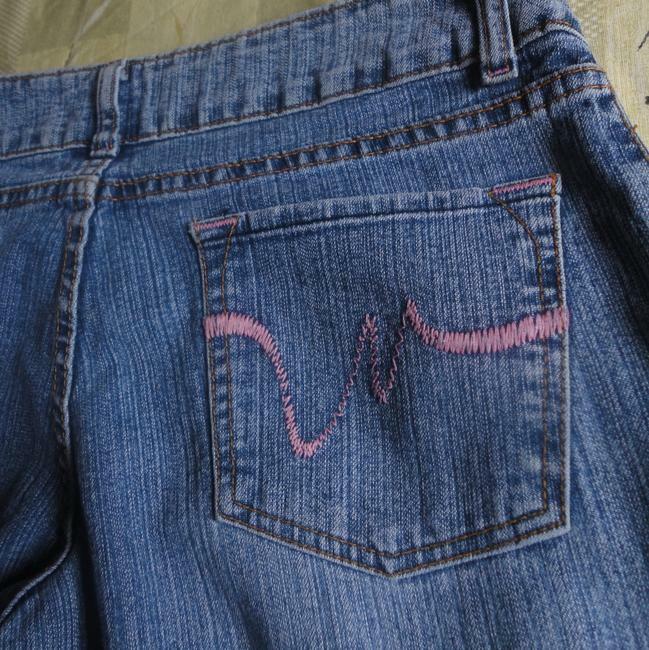 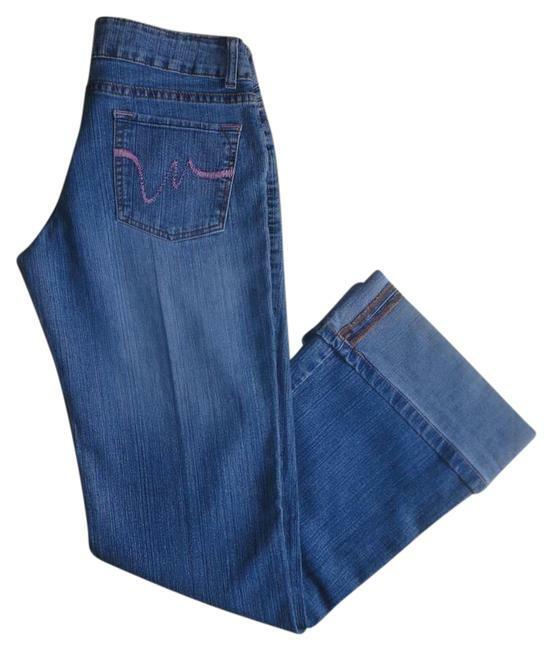 It is medium blue wash and features the standard rust colored stitching along with some pink accents here and there. 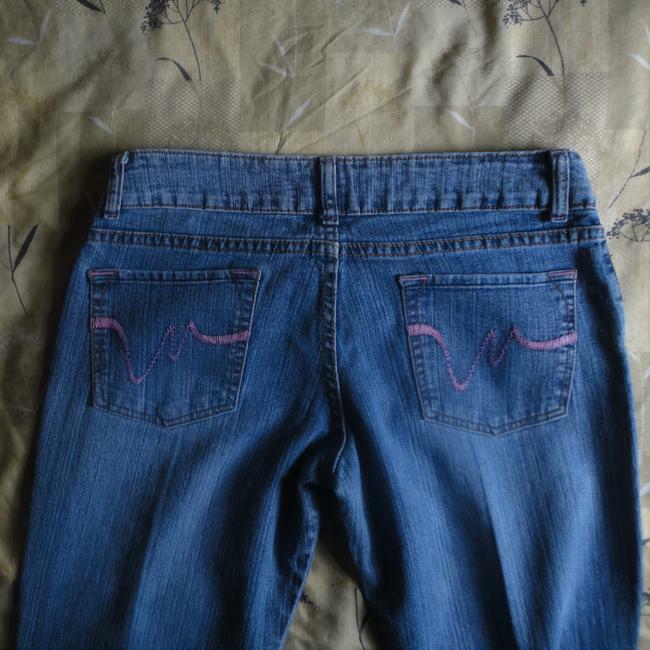 The design of the back pockets is a pretty light pink shade. 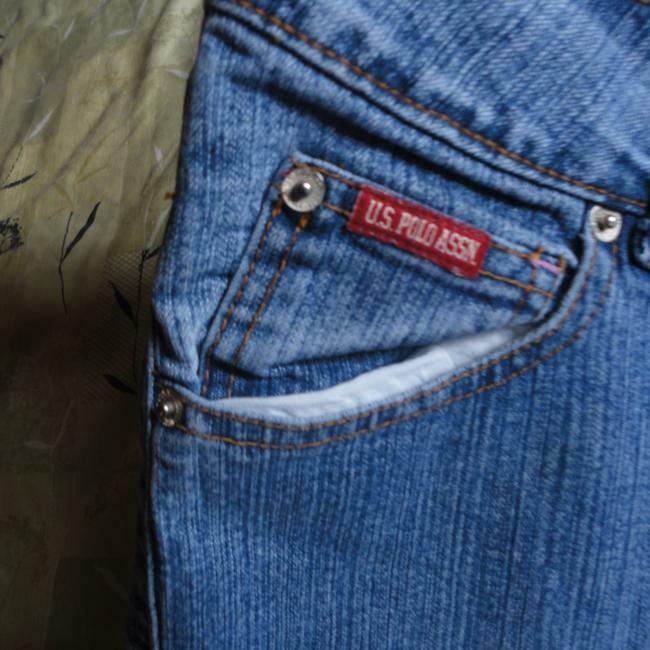 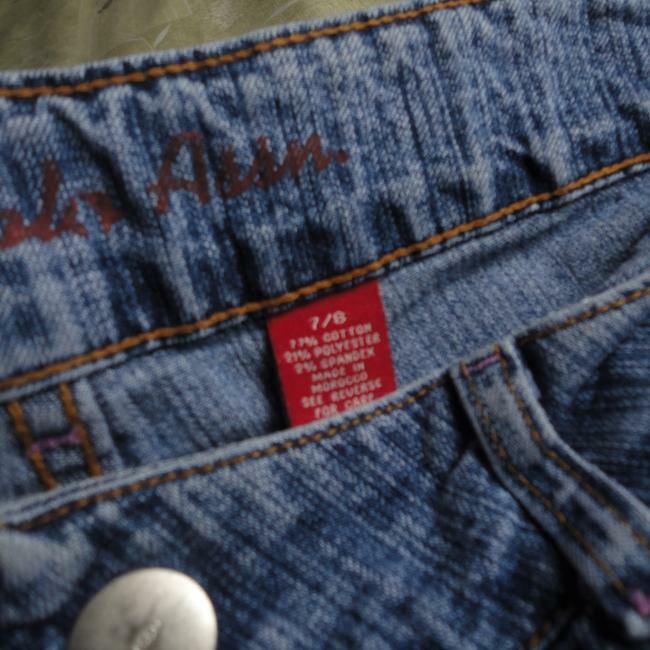 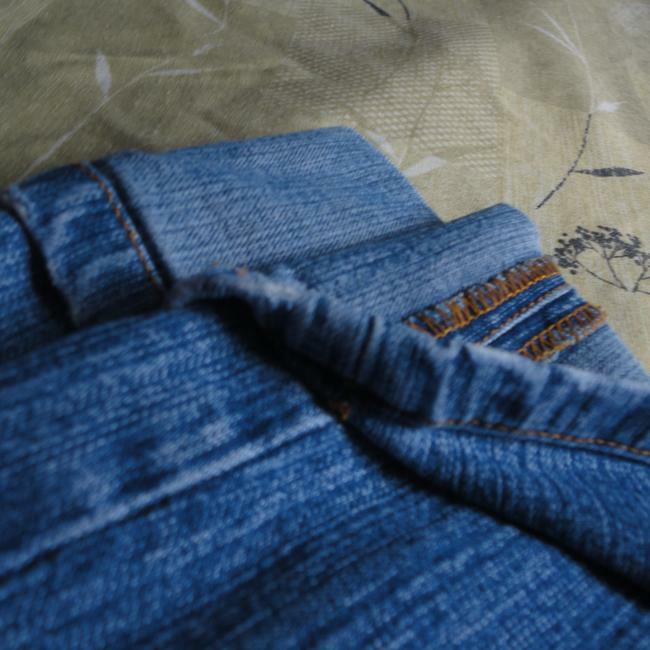 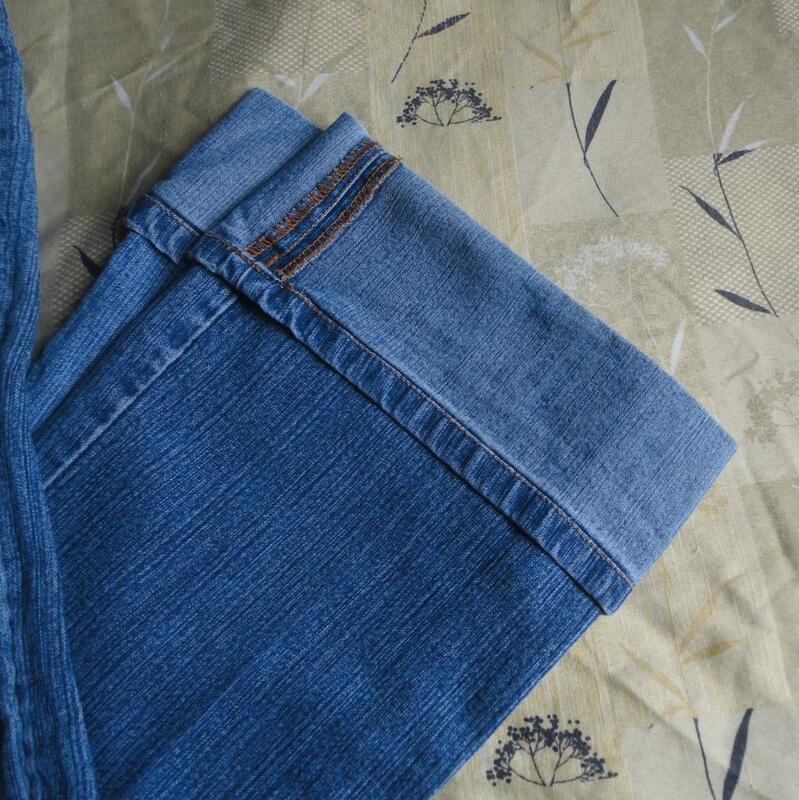 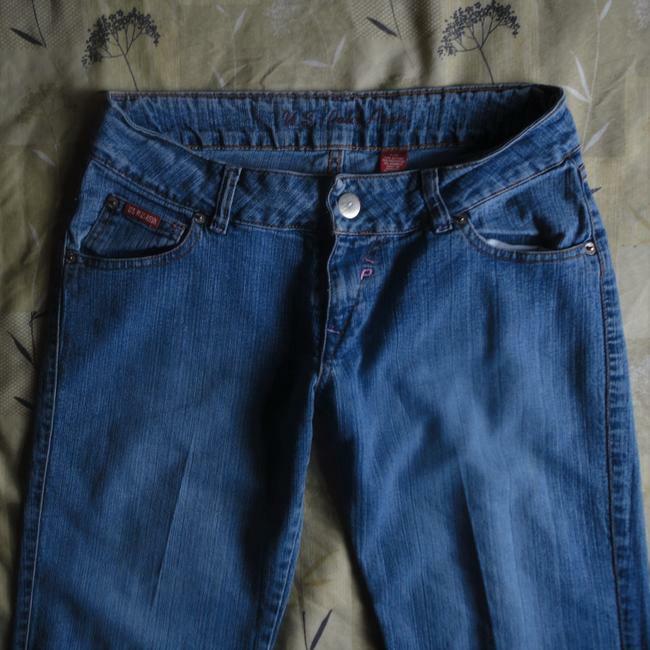 The jeans are factory cuffed at the hem (about a 4" cuff) and cannot be unfolded.The jeans are low rise and feature a snap and zip closure. 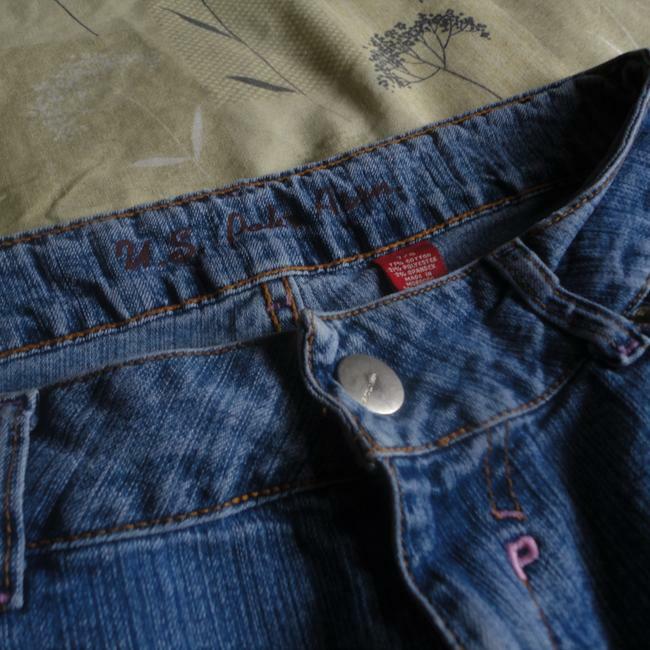 They feature the standard five belt loops and five pockets.